Indeed, compared to aluminium, PVC and wooden windows can appear somewhat cumbersome. And that’s not all: Aluminium is some 3-times stronger than PVC, and some 4.3-times stronger than wood. It also has a lifespan two to three times longer than PVC and wood, being inert to weather changes and very low maintenance. What does all this mean? Simply, that aluminium is an outstanding material for windows. Our aluminium window supplier is REAL Aluminium who manufacture all their own windows at their plant in Gloucestershire. 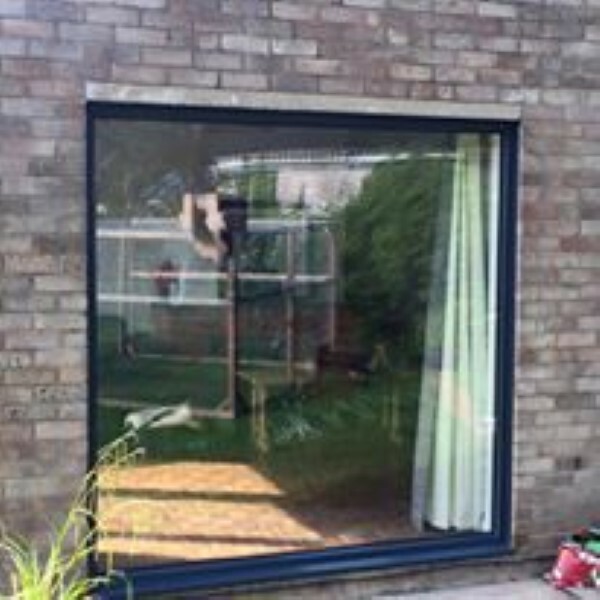 Secure and easy to operate, hinged aluminium windows can be opened like regular windows, and there’s fixed glazed panels for larger applications. All the windows we sell are manufactured to the highest quality to exact specifications. Not only do they look great, but they are thermally efficient and environmentally-friendly too, with a typical U Value of 1.2w⁄m2k and a solar gain of 0.71. Aluminium windows do cost more than your standard wood and PVC windows. However, at a minimum they offer twice the lifespan so they have a lower total cost of ownership. Typically, there’s an uplift in price of 35-45 per cent over PVC windows and sometimes more. The price mainly depends on the frame design and the finishing. As always, the key consideration you’re going to have when purchasing aluminium windows is whether you like the look of them, and whether they will complement your property’s design. You’ll be pleased to know then that our aluminium windows are available in a variety of finishes and colours, from brushed silver to matte, opaque black. Aluminium windows can also be virtually bezel-less. Of course, the window must have a frame, but it can be minimalist and much slimmer than a PVC or wood frame. We have worked on some jaw-dropping applications of minimalist aluminium windows, including one where a whole exterior wall was replaced by a single glass panel to create a panoramic view; so, whatever ideas you might have, we can help you make them happen.